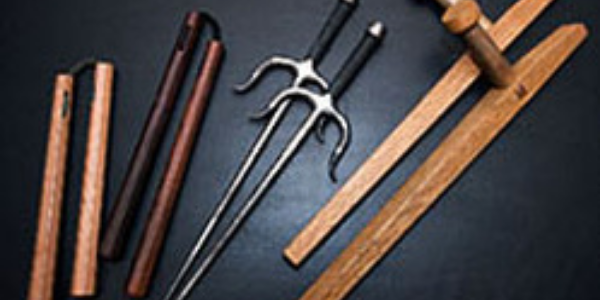 This program will teach the student the proper usage and understanding of many Okinawan Weapons. The student will learn a series of basics to first understand how to use the weapon and then the student will learn a series of katas or forms that put the weapon to use in as systematic format. The basic weapons taught are the Bo, Tanbo, Tonfa, Nunchaku, Sai plus a few more traditional weapons.